Stephen Colbert returned to the air Monday night after a mysterious absence. "The Colbert Report" headed back to the airwaves Monday night following a brief hiatus due to "unforeseen circumstances." As he opened the show, Stephen Colbert joked about some of the rumors that circulated about his absence. He also gave a veiled nod to a "lovely lady" — presumably his ailing 91-year-old mother, Lorna Colbert, whose illness The Associated Press had earlier reported was behind the show's shutdown. "Evidently, having 11 children makes you tough as nails," Colbert added Monday. He is the youngest of 11 children. Monday's show featured guest novelist and bookstore owner Ann Patchett. Ticketholders for tapings of "Colbert" last Wednesday and Thursday had received an email advising them of the cancellations due to "unforeseen circumstances," with no explanation given. 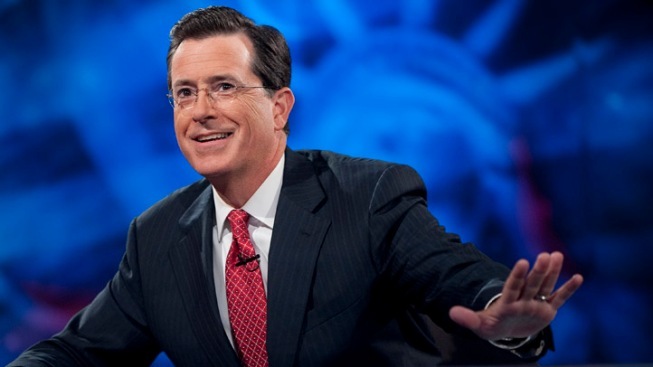 Before returning to the air Monday night, Colbert himself thanked fans for their support.